After one successful dye job on a Today Is Saturday hat, I decided to repeat the exercise. This is what happened. 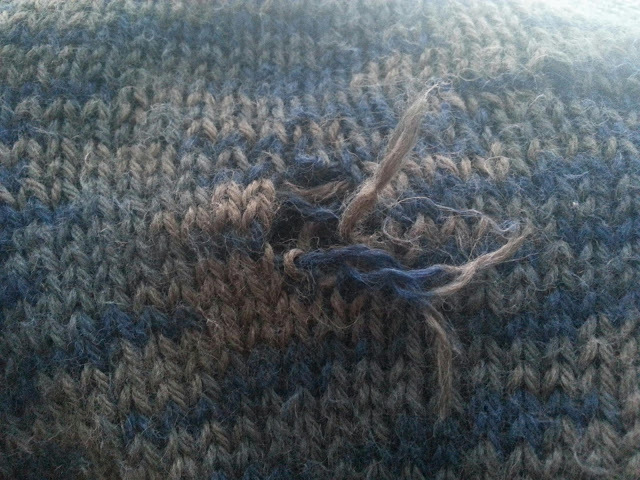 It wasn't on a join in the yarn or anything, just a case of a vary unhappy experience in the washing machine. Not recommended. 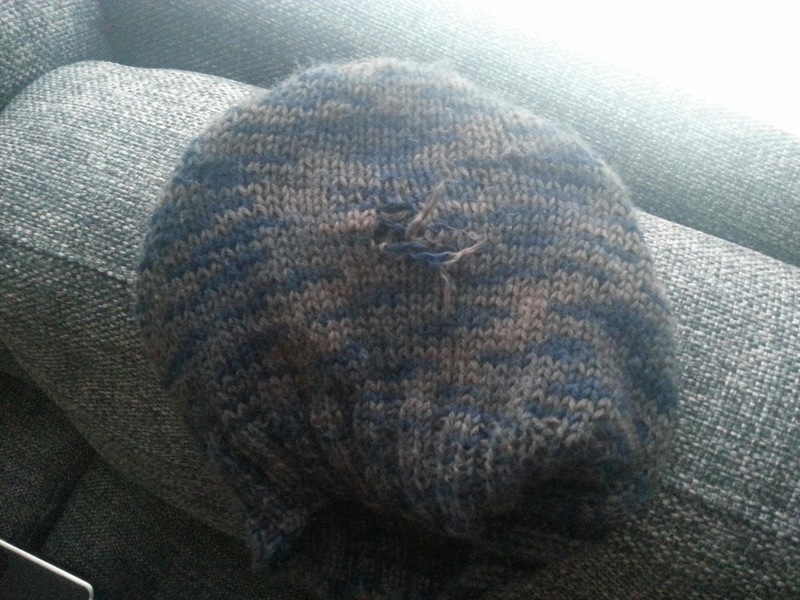 The name of the yarn is Gjestal Sportsragg form Spar Kjøp.